Just as we drink water through the day, the skin needs regular doses of moisture as well to stay in optimum condition - not just a morning- and evening-only application of a moisturiser. This is where facial mists come in. Just spray on whenever you need refreshing or for a moisture boost for the skin. 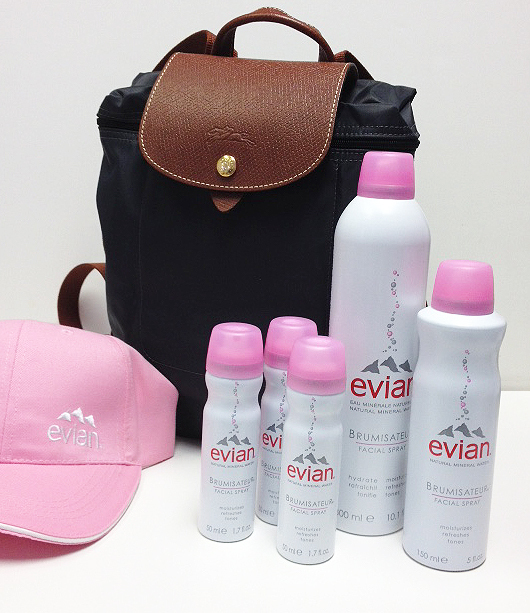 Here is your chance to win an Evian Facial Spray set and a Longchamp Le Pliage backpack, courtesy of the Wilkes Group. Scroll down for the details and to enter the giveaway. For the uninitiated, #EvianSpray is a very fine mist that rehydrates the skin. It comes in a leak-proof, travel-friendly canister. One winner will receive a luxurious Longchamp "Le Pliage" water-resistant nylon backpack with leader handles. It retails at $125 and contains one 10oz., one 5oz., and three travel-sized Evian facial sprays, which are worth a total of $175 (Photo depicted above). Three runners-up will receive a Longchamp toiletries case worth $50. 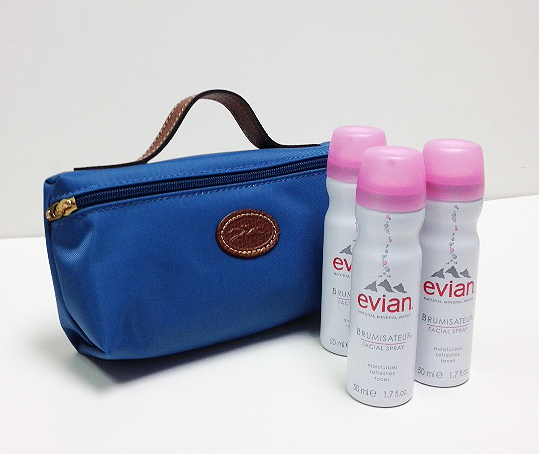 It contains three travel-sized Evian facial sprays, worth more than $70 (Photo depicted below). Enter using the widget below. If you cannot see the widget, go here. Good luck to all those who enter! The giveaway closes on November 30, 2015. This giveaway is hosted by the Wilkes Group and the post is brought to you by Brandbacker.